Ryan Hunter-Reay's hot streak continued yesterday during Firestone Fast Six qualifications as the American edged Dario Franchitti by one one-hundredth of a second for pole at the Edmonton City Centre Raceway. However, because the Andretti Autosport driver will incur a 10-spot grid penalty for an engine change, Hunter-Reay will start 11th, with Franchitti leading the field to the green flag. "It was great we picked up a championship point for the pole, but too bad we will be starting 11th instead of first because of the engine change," said Ryan Hunter-Reay after qualifications. "[The race] will be really interesting for everyone." Ryan Briscoe, Takuma Sato, Alex Tagliani, and Helio Castroneves completed the Firestone Fast Six, while championship contenders Will Power and Scott Dixon were caught by a brief rain storm during round two, which kept them making the Fast Six round. Power will start P17, while Dixon will grid in 18th position after he too incurred a 10-spot grid penalty for changing an engine. GREEN, GREEN, GREEN - This will be the last color of race control flag being waved the rest of the race! 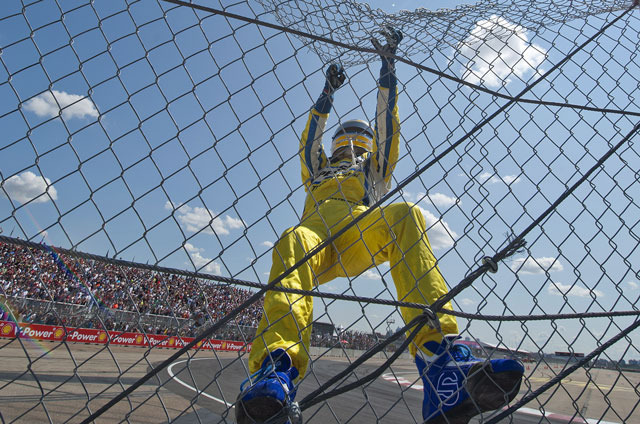 The action of this 2012 #EdmontonIndy got going quickly as Dario Franchitti led off the initial start while Ryan Briscoe, who shared the front row, began falling back and dropped to fifth. 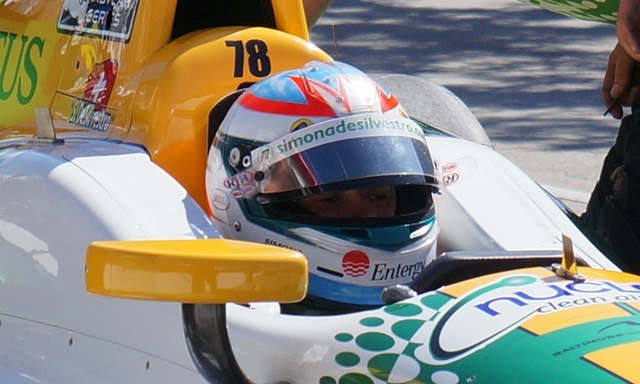 Alex Tagliani, who started fourth, made an aggressive move to second and eventually took the lead from Franchitti as the field completed the first lap. The first stint ran without incident with the only drama occurring on lap 13 as James Hinchcliffe missed his braking point in the final hairpin when he tried to pass Simon Pagenaud for 10th. He ran wide in the corner and fell to 13th. Will Power broke loose somewhat on corner exit and slightly brushed the wall - no major effect. 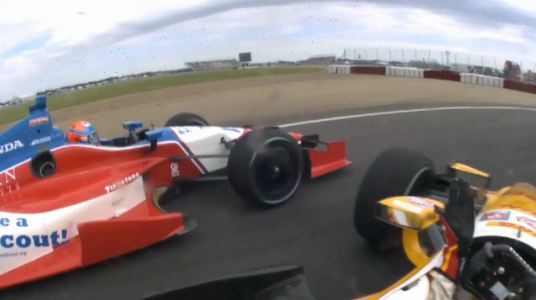 Takuma Sato finally gets past Dario Franchitti! Move him to third place. Great to hear so many messages of support from the fans! Tagliani continues to lead at #EdmontonIndy! So Servia is the only driver that has not used ptp yet at the @IndyCar #Edmontonindy race. Pagenaud has almost used his up! Amazing that we're still caution-free in #edmontonindy Hope that holds. Great racing! Helio Castroneves is in the pits on LAP50 - REDS on in order to finish out the last stint - Wilson in as well! Ten laps to go and it is still Castroneves and Sato for the lead with NO YELLOW Flags! With just a few laps to go. Castroneves was pushing his Push to not get passed button! Is there anything dumber in racing than push to pass used by #indycar at #edmontonindy? Please let the drivers drive without the gimics! That sound you hear is the collective groan from the #IndyCar fanbase as Taku finishes second. Helio Castroneves wins the #INDYCAR series #EdmontonIndy. Going into the 11th race in a shortened 15 race season, the driver’s championship is as competitive as ever. 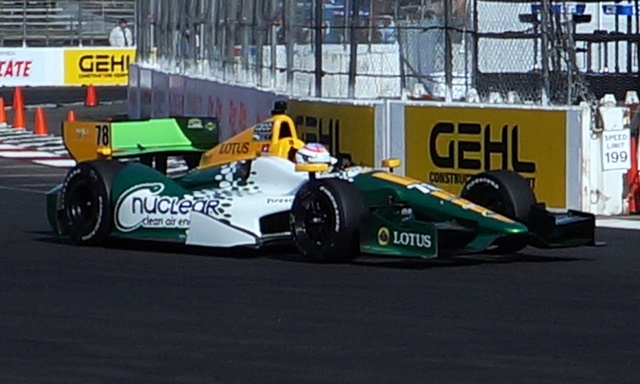 Ryan Hunter-Reay has vaulted into first place after winning three straight races, while the Franchitti, who won his fourth drivers’ championship in 2011, has struggled. He’s in eighth spot, 13 points ahead of Briscoe. The last two years ended in disappointment for the Penske driver, Will Power, who ended up in P2 on the last race of the season, and up until he lost his left front tire to a Josef Newgarden weakened broken wing section that came off and caused a puncture, he looked as though he would be able to retain the points lead built upon with three season wins of his own. Last year, Will Power was behind Dario Franchitti and needing a win to get back into contention after loosing points in Toronto. This year, Power is pretty much in the same position but this time his chief rival is Andretti Autosport’s Ryan Hunter-Reay who is ahead by 34 points by winning on two ovals and one road course. The Achilles heel for Penske and Will Power in securing a championship has always been ovals. 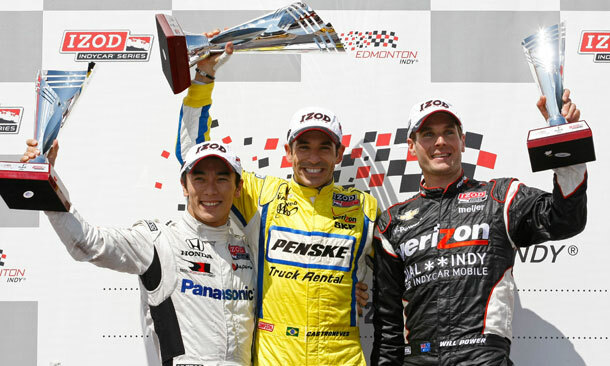 Edmonton represents a must win situation as it did last year for Will Power but all things are not the same. First off, we find ourselves in the infancy of the DW12 era with new engines. It appears that this new chassis outfitted with the Chevrolet engine, performs a little better than the Honda engine under racing conditions. 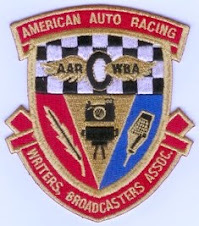 Of the top five drivers in the points chase, four of the five are powered by Chevrolet engines (P1 – Ryan Hunter-Reay, P2 – Will Power, P3 – Helio Castroneves, P5 – James Hinchcliffe). The only Honda to spoil the “bowtie” party for the championship is Scott Dixon in P5. 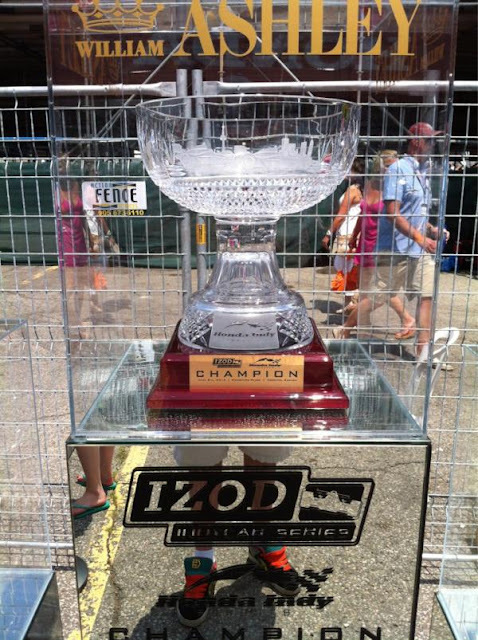 Secondly, the IZOD IndyCar Series has decided to add another wrinkle into the mix for Street/Road courses – of which four of the last five races are to be contested. This driver controlled element to performance is called Push-to-Pass or P2P. These new engines are outfitted with a turbo-charger which boosts additional power through compression to the engine and the P2P gives each driver additional boost controlled by a button on the steering wheel for a total of 100 seconds. The reason P2P is very important to a driver’s strategy at Edmonton is because of the unique character of the new layout introduced just last year (so the contending drivers have seen the track before). 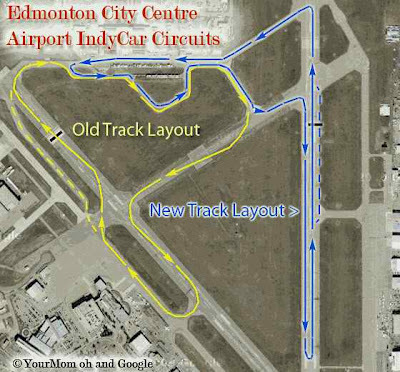 The track is a 2.25 mile temporary road course set up on an airport runway/tarmac in Edmonton. The course is unusual in that it tracks counter-clockwise and features 13 turns, a nasty hairpin turn that separates two long straights made from a landing/takeoff runway, and another slightly curved straight that dives into another situation similar to ” Turn 3″ at the end of the only high speed straight in Toronto. Turn 1 out of the pits and at the end of the long straight past the Start/Finish line (the longest of the new layout). The corner is an unusual left hand power turn (120%) that leads to a speed section with a slight right-hand kink at Turn 2 and a high-speed left/right jig at turns 3 and 4. Lastly, starting at turns 10 and 11, a long 150 mph straight made from a landing/takeoff runway that ends in a nasty hairpin at turn 13 that starts the process over again with the longest straight (3/4th of a mile – nearly 200 mph) in this course. Whoever has the best strategy to manage and where to engage the 100 seconds of P2P just may end up having the advantage on this course. Again, turns #1, #5, and #13 are pivotal to the fortunes (or lack thereof) of these teams and drivers and the Edmonton Indy is uniquely situated in the season, with just 5 races left, to set the tone to the end – Honda Indy 200 at Mid-Ohio, Indy Grand Prix of Sonoma, Grand Prix of Baltimore, and the season finale at Auto Club Speedway. The Los Angeles Auto Show announced today July 12, 2012 that more than 40 vehicles are anticipated to debut at the Show during the 2012 Press Days, held Nov. 28-29. With four and a half months until the Show (beginning with Press Days - Nov. 28-29), it is noteworthy that at least 20 world debuts have already been confirmed by automakers. This breaking news, as well as other automotive trends, will be unveiled to a global audience consisting of media from more than 50 countries. The debut lineup this year also promises a compelling mix of the hottest trends and cutting-edge innovations driving today's resurgent automotive industry, including world firsts from Chevrolet as well as European automakers such as BMW, Fiat and Volkswagen. Los Angeles attendees will also see global unveiling previews of new designs from Asian brands, including models from Acura, Hyundai, Kia, Nissan and Toyota. Green and alternative fuel technologies represented by types powered through fuel hybrid and all-electric vehicles, will be featured in several world debuts at the Show. There also will be an increasing number of high-mileage internal combustion vehicles, including clean diesel, on display. Additionally, several automakers will unveil emerging technologies that are dramatically changing the modern driving experience and making it safer. These technology-laden vehicles will share the media spotlight with a well-represented lineup of luxury and performance models underscoring the L.A. region's status as the largest market for these segments in the country. Of the 40 debuts slated, at least a dozen will come from these two categories, including unveilings from the likes of Acura, Bentley, BMW, Jaguar, Land Rover and Porsche. 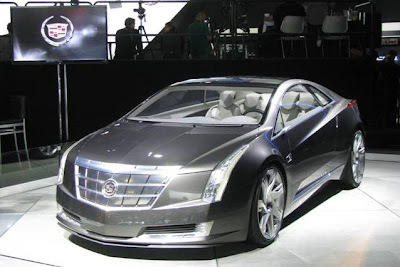 As stated by Andy Fuzesi, general manager, L.A. Auto Show - "As the first major North American show of the season, L.A. sets the tone for 2013 and we expect that automakers will pull out all the stops to excite new-car buyers. In virtually every category from the greenest electric vehicle to high-horsepower performance models, the technological advancements we are seeing today eclipse all previous automotive eras." With California established as a global center for alternative fuel and advanced technology innovations, it should come as no surprise that the L.A. Auto Show will be a prime venue for breaking news on all the latest developments. The entirely new Automotive Technology Showcase, presented by the Alliance of Automobile Manufacturers, is a Press Days expo designed to connect automotive technology companies with automakers, media, analysts, and other potential customers and partners. 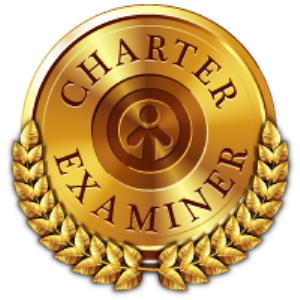 It will serve as a one-stop dedicated showcase covering advancements such as digital speech recognition, accident avoidance technology, navigation systems, real-time traffic data and solutions designed to mitigate distracted driving concerns. Supporting the Showcase will be an expanded Ride and Drive called the Green & Advanced Technology Ride and Drive. This Press Days' event will include both "green" vehicles as well as those featuring in-car advancements such as automatic park assist, radar-based object detection systems and driver assist technologies. 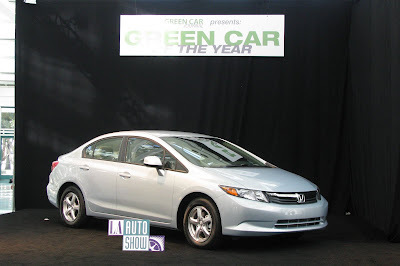 The Show's "green" credibility is further sustained with the Green Car Journal's annual Green Car of the Year® and Nielsen Automotive Green Marketer of the Year awards. Push-to-Pass (P2P) will be re-introduced as a tool for the drivers to use in today's race in the streets around Exhibition Place in Toronto ON, Canada. The Honda Indy Toronto will have a different version from the one that was introduced by the ChampCar World Series (CCWS) through the Panoz DP01 where a driver could push a button on the steering wheel and get 10 seconds of extra boost delivered to the turbo-powered engine. The driver's were limited to only ten 10-second boosts on the P2P for a total of 100 seconds. The version that will be used on the DW12's on the 11 turn 1.75 mile track in Toronto will allow the driver to use as much of their 100 second allotment whenever, and however they choose. If Takuma Sato, for example, wishes to employ the 100 second boost all at one push, all he has to do is keep the button down. Most drivers feel that P2P is best used as a tool saved for the final third of the race but this is not a guarantee of advantage. If the driver to be overtaken also saved his allotment of P2P, all he has to do is push-to-defend and the advantage is neutralized. 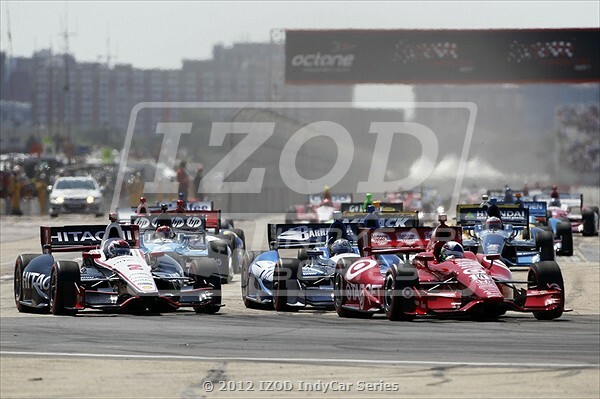 In a report at SPEED TV, Helio Castroneves shared another idea on how P2P should be modified to make it more exciting to the on-track action. "We can see the revs increasing on the computer, but you don't feel it in the car," said Team Penske's Helio Castroneves, who echoed the comments of numerous IndyCar pilots. "It's about two-tenths [of a second] on lap time. The good thing is, Push-to-Pass is back again. But maybe we should plan ahead, especially when we have a two-week break to the next race at Edmonton." At the behest of the engine manufacturers, the series has re-introduced the system with a modest and measured increase in power, but it's likely the power the button delivers will grow before the end of the season. For now, and with such a soft increase in performance, Castroneves would like to see a unique anti-Push-to-Pass safeguard system established. "Maybe we can do something like a delay, so if one guy presses the button, the guy in front or behind him cannot react right away," he suggested. "Then you can make a proper overtake. If I push my button, and the guy I'm chasing then pushes his button, you get nothing out of it. The bottom line is yes, this is for us as drivers, but it's also for the fans. If we can use the button to cancel each other out, maybe we should think about not letting that happen so easy." GREEN, GREEN, GREEN - The Honda Indy Toronto with P2P begins! Dario jumps to the front over Will Power - all cars get through the first turns side-by-side then settle into a single file. Justin Wilson gets past Will Power for a couple of laps ... Power grabs the position back before Franchitti gets to far away. Is it safe to say that Graham Rahal is the Steve Wallace of #Indycar? Back to yellow with only 3 laps to go at #hondaindy. @racewithinsulin holds P2. Que gran carrera de #IndyCar se ha perdido @Javigarv Oriol Servia finalmente 5º !! Really, #IndyCar? Finish under yellow? Change that rule! #Breaking: Ryan Hunter-Reay wins the #HondaIndy in #Toronto, giving him three straight IZOD #IndyCar wins! #IndyCar …Ryan Hunter-Reay wins Toronto for 3rd victory in a row. ABC says he'll have take points lead & have a 34-point lead on Will Power. An American driver leads in the points for the first time in ... forever! Hats off to Andertti Autosport and Ryan Hunter-Reay for completing a "hat-trick" with three mid-season wins in a row to pull into the points lead for the IICS championship over Will Power. In the post-race interview, Sebastien Bourdais claims that Charlie Kimball does not deserve to be on the podium because it was Kimball that took Bourdais out of the race with poor driving. Push-to-Pass had an effect on the race but not as many imagined. Some of the best passing moves on the track happened when those using the P2P came in too hot into a corner and leaving the apex open for following cars to sneak through. Charlie Kimball's pass on two cars was just such a pass. 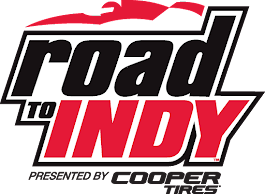 Five more races remain on the schedule - four road/street courses and one super speedway oval - Edmonton Indy, Honda Indy 200 at Mid-Ohio, Indy Grand Prix of Sonoma, Grand Prix of Baltimore, and the season finale at Auto Club Speedway. It was announced earlier this week that Lotus/Judd will have a new and updated engine package for the single car team that remains in competition in the 2012 IZOD IndyCar Series (IICS). We are now going to be treated to the 10th race in a scheduled 16 race season in the streets of Toronto, Ontario, Canada for the Honda Indy Toronto but, sadly, the addition of a single Lotus-powered competitor, no matter how good the engine, is of little consequence now that the effort has eroded to a single driver on a single team. This announcement, if it came about by the third race of the season, may have saved the effort for 2012, but with the exodus of Dragon Racing's Sebastien Bourdais & Katherine Legge, Dreyer & Reinbold Racing's Oriol Servia, and Bryan Herta Autosport's Alex Tagliani before the Indianapolis 500 headline event, who cares? The fact of the matter, the Lotus effort came along late with little or no team testing under the assumption that this would be an easy branding add-on and that some how Lotus would be competitive out-of-the-box against the likes of major manufacturing efforts of Honda and Chevrolet ... not to mention established team resource support from the likes of Andretti, Penske, and Ganassi. Let's be serious, British based HVM with their single female driver, Simona de Silvestro, no matter how talented and dedicated she is, will have very little impact on the competitive nature of this new Lotus/Judd package other than deliver an on-track test conducted during the event of an IICS season race. Swiss driver Simona de Silvestro will have a new and hopefully improved Lotus engine this weekend at the Toronto Grand Prix. De Silvestro said on Tuesday the new engine has been installed and she will get her first laps on track with it at Toronto. IndyCar last week approved upgrades for Lotus intended to help the struggling manufacturer, but de Silvestro thinks it could be a month before HVM Racing sees on-track improvement. "Lotus is going to bring us an update, we think, before every race," she said. "We'll see how Toronto works out, but we think if we keep focusing on what we are doing, if we get to Baltimore (Sept. 2) and can run in the top 10, that would be really good for us. I think we are going to go to Toronto pretty open and excited to see what this new engine can do." "It is a bit frustrating in the sense we've had some pretty strong race cars, especially at Detroit and Iowa, but it's so hard for us to pass," she said. "We can have a pretty good race pace, but when it comes time to pass, we don't have the speed and it's been so hard. "And we've only finished three races, which is not a good record, and it's made it difficult to focus on the areas that really need improvement. We focused on two areas at the test, and we'll keep moving forward and hope our speed improves with the updates." Lotus began the year with five teams. All but HVM defected to other manufacturers before the Indy 500 in May. She said being the sole team with Lotus has been a mixed bag: It's been helpful to receive all the attention from the manufacturer, but de Silvestro believes her team has been at a disadvantage in not having another driver or team to talk to about strategies and development. "The biggest problem that happened the last two years was my crash at Indy hurt me a little bit, because it took me some time to get my confidence back," she said. "But we still had the problem with the chassis, we just had struggles with that chassis that hurt us. This year we took a gamble to get with Lotus, and it's also been trying. "But racing, it is not always rosy. I've learned a lot this year about engines, and we have a very strong engineering group with the team. Hopefully with the work we are doing this year, we get to the end of the season and we are better." 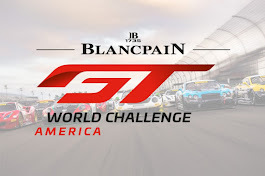 Without front line experienced drivers like those represented by four-time CCWS champion Sebastien Bourdais, or the high-posting consistancy delivered through Oriol Servia or Alex Tagliani, little progress is expected from Lotus/Judd with this engine update.